In its third year, the Crosby Scholars program is continuing to work to build a college-going culture in Rowan County. Last year, the program enrolled more than 2,300 students, an increase of more than 600 students from its initial year. This fall, Crosby Scholars will be working with its first class of seniors – more than 200 young men and women from all over Rowan County who will be the first graduating class of Rowan Crosby Scholars. Crosby Scholars has a need for dedicated, caring people to assist high school students as grade advisors and senior advisors. As part of the Crosby Scholars Senior Program, each senior is promised a one-on-one advisor to walk them through the college admissions process. Some students have designated parents, guardians or friends to fill this role, but more than 160 students have requested that the program provide someone to serve in this capacity for them. 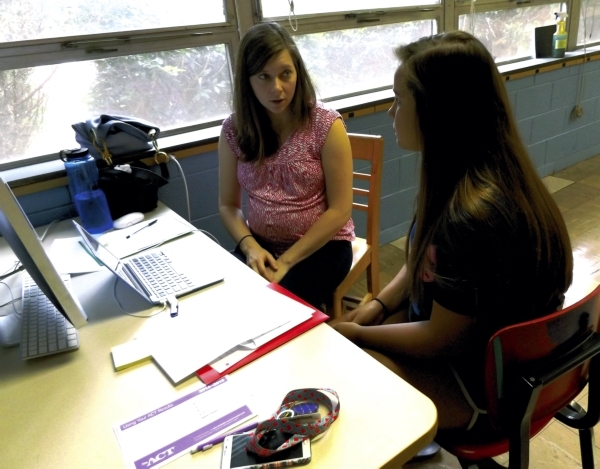 Senior advisors will work with senior students one-on-one, meeting up to seven times during the school year to keep students on track for high school graduation and college admission. Realizing that college preparation must begin early, grade advisors will work with groups of students in grades nine through 11 at each high school to help them begin the process of developing their best possible list of opportunities for post-secondary education. Grade advisors share positive personal, social and educational experiences with the students. They lead discussions on grade-specific topics focused on preparing for the college admissions process. These topics help students build a foundation of knowledge that prepares them for their senior year. These meetings take place four to five times throughout the school year at each high school. Training sessions are available through Crosby Scholars, which will help the advisors assist students with college applications, essays, financial aid forms, etc. For more information about volunteering with the Crosby Scholars program, contact Jennifer Canipe at 704-762-3512, or visit the Crosby Scholars website at www.crosbyscholarsrowan.org.